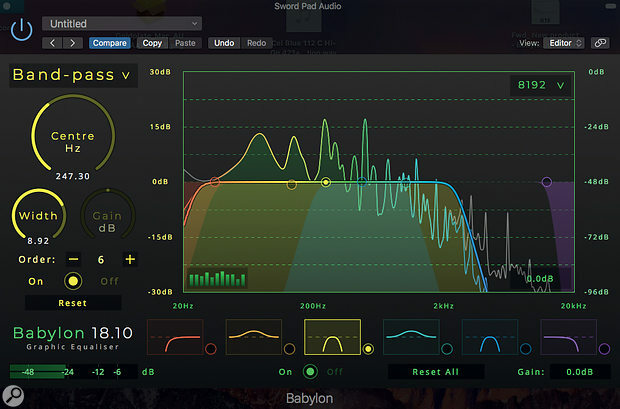 Billed as a comprehensive graphic equaliser and available for the cost of a few beers, Gramotech's Babylon might better be described as a very flexible multiband EQ, as it has little in common with conventional graphic equalisers — though it is an equaliser with impressive graphics! Its designer, James Johnson, remembers being unable to afford the software he wanted when at university, so his stated aim now is to develop quality plug-ins that students and home‑studio owners can afford. 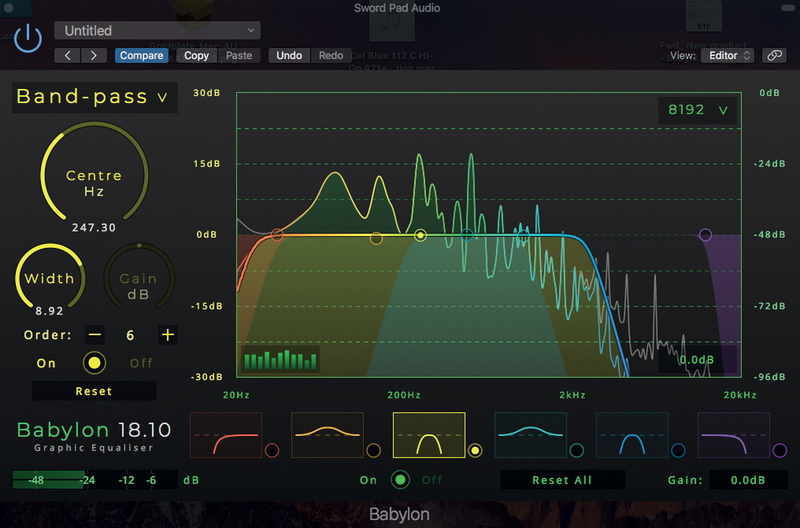 Babylon is the company's first product, though their road map aims for a new plug-in release every six months or so.